TheÃ‚Â Linux Mint 18 SarahÃ‚Â will please long-time users and impress new adopters for its growth in features and overall consistent performance.Linux Mint 18, released at the end of June, is a long-term edition supported through 2021. 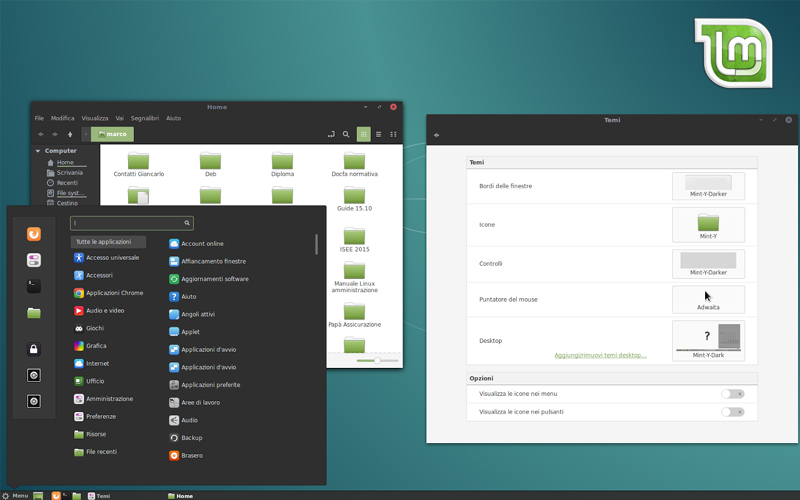 The in-house built Cinnamon desktop and the GNOME 2 fork MATE desktop were available at its introduction. The Xfce edition became available earlier this month, and the KDE edition is coming soon. Linux Mint 18 Sarah is based on Ubuntu 16.04 and comes loaded with numerous significant new features. The development team has maintained its philosophy of making key improvements to an already solid distro without overwhelming its user base with outlandish directional changes. Linux Mint Cinnamon has been used on primary work machines since developer Clement Lefebvre created distro. The Linux Mint 17 series began in June 2014. It has become an apt alternative toÃ‚Â Canonical'sÃ‚Â Ubuntu, which radically changed its development path. The growth evident in Linux Mint 18 is a logical and pleasing upgrade from version 17.3. Many of the improvements bundled into this release consist of system and user software upgrades. For example, Linux Mint now runs Linux kernel 4.4 and Cinnamon 3.0 or MATE 1.14. Mint 18 supports the exFAT file system out of the box. Also now supported by default is the Btrfs file system.Linux Mint 18 includes an enhanced update manager that supports installation of different versions of the Linux kernel. The changes to the update manager should be well received by users. It offers easier configuration to balance safety, security and stability in handling system updates. New commands support Debian syntax for apt. The terminal command "apt" still supports all previous features. Linux Mint 18 also supports a new syntax of Debian "apt" with some changes and improvements.For example, you can run the new apt full-upgrade command to get results equivalent to running apt dist-upgrade.You now can use a terminal command, add-apt-repository remove argument to remove the junk repository. The software services graphic mode did not allow that function.Another really nice touch is the progress bar. The completion process displays when you run the terminal commands "apt install," "apt remove" and "sudo apt auto-remove. "Linux Mint 18 comes with Steam, Spotify, Dropbox and MinecraftÃ‚Â added to the software manager, which makes it easier and more automated to install and update these applications.